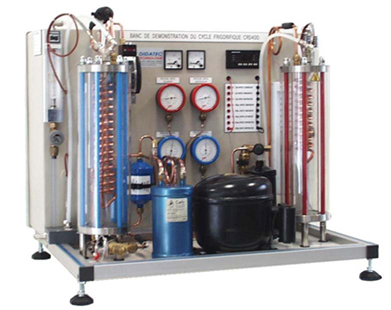 The refrigeration cycle demonstration unit is delivered complete with instrumentation as well as technical and instruction manuals. Designed and manufactured to meet industrial standards. This unit can be used at different levels and in different fields of study. Use of the refrigerant R 134a as required by new regulations.